For carrying scrap / sponge iron in a large open top container or in charging baskets across bays. Four integrated operating modules for cost-effective management of the entire scrap supply chain,with full segregation and traceability. 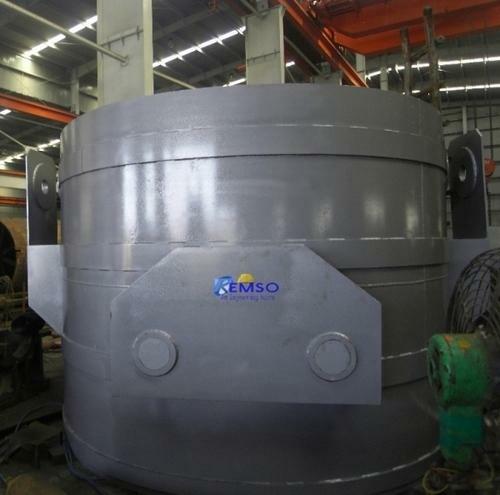 REMSO Scrap Charging Buckets for top loading of electric arc furnaces - are designed for an even spread of scrap over the bed of the furnace. Constructed of heavy steel plate, bars and rolled shapes. Bottom doors, fabricated of dished plate are waffled for added strength and allow the bucket to sit on the floor without special auxiliary supports. Cylinder body of rolled plate is welded inside and out. Main bails are of heavy duty construction or for long life - ease of operation. A spreader beam type auxiliary bail and guides, keep the door operating cables from wearing against the bucket. For loading bucket, the main bail swings aside to provide a clear top opening. The bucket is then positioned over the furnace. 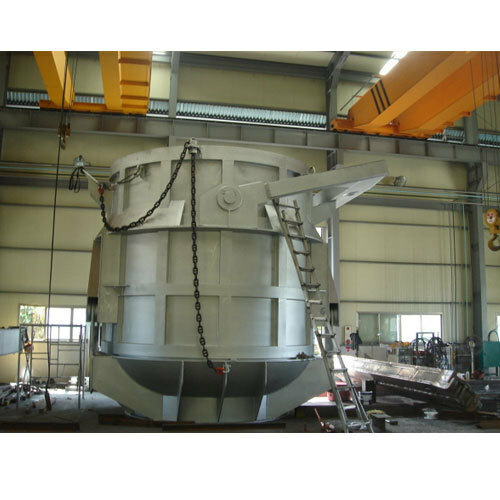 The primary crane hook is engaged in the main bail, and the auxiliary crane hook is engaged in the auxiliary bail. The auxiliary hook lifts the auxiliary bail which actuates the door. The door pivots on individual hinge pins - linked together to synchronize opening, closing, and locking of doors. Buckets are also available with loose "ladle type" main bails and separate auxiliary bails. Other bail configurations, such as main bail trunnions located on the same centerline as the door hinges, are available to suit your individual conditions. The REMSO Bottom Discharge Box provides complete versatility in operation. While it is primarily carried by overhead crane when engaged in the bail opening, the box can also be carried by fork lift trucks with the insertion of forks into the fork pocket tunnels beneath the doors. In the carrying and lifting mode, the doors are held up and locked to prevent inadvertent discharge. When straddled across a bin and seated on its horizontal leg extensions, this box assures complete control of discharge by the rate at which the operator lowers the crane hook. Welded of heavy plate and structural, this box can be designed to your exact requirements of size and capacity of both load weight and volume. 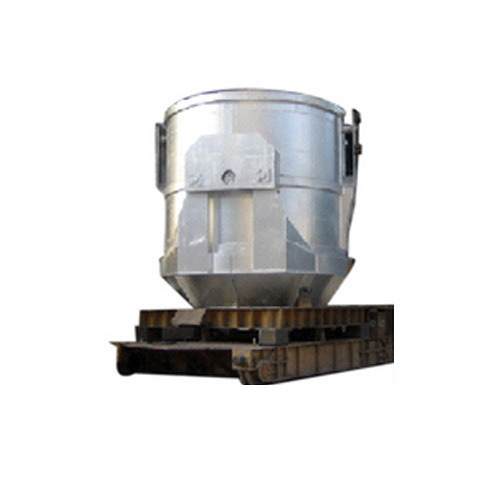 The Clam Shell Scrap Charging Bucket, also called Scrap Basket is used for the collection and transfer of scrap metal from the scrap bay to the Meltshop. The bottom of the bucket is fitted with 'clamshell' doors for a base to allow the scrap from the bucket to charge the electric arc furnace. The Scrap bucket is constructed in such a way to enable it to be parked on the plant floor without any supporting structure or stand. 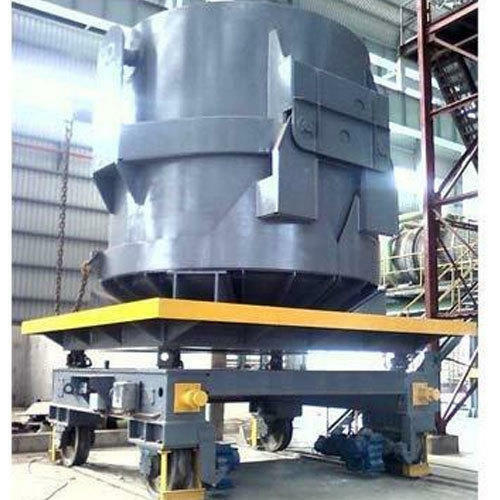 The bucket shell and bottom clam shell is of a welded construction of heavy steel plate made from Steel grade S275 JR according to DIN EN 10025. 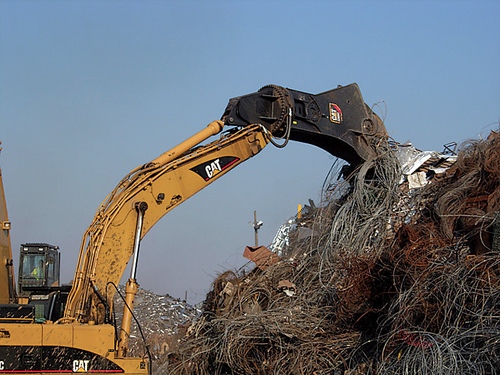 We are engaged in manufacturing a range of high quality and precisely engineered Ladle Weighing Car and Scrap Weighing Car. Our products are manufactured on the basis of strain gauge load cell. Our product range includes scrap car, ladle car, turn dish and turrent weighing systems for various steel melting shops. Robust design and mechanical structures can be a vehicle of ours to entertain the requirements of various steel industries. The Scrap transfer car shall be self propelled, complete with motorized drive unit with gear box, brake, wheels, axle, anti-friction bearings, etc. The entire drive unit shall be fitted under the carriage top frame. Electrical power from the nearest source to the carriage be taken by trailing cable, motorized cable reeling drum, starters, limit switches for stopping the trolley on both ends of travel. All the electrical including the cable reeling drum to be mounted on the top platform. 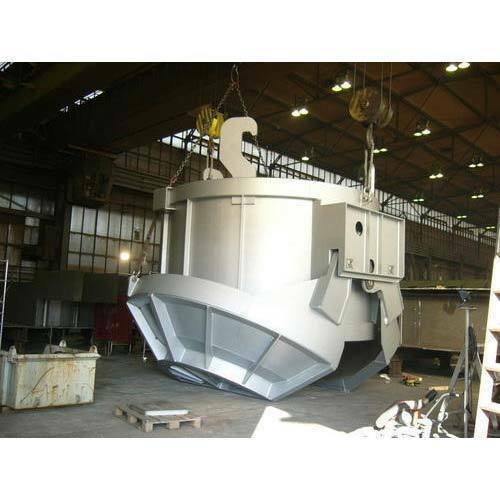 We are one of the prime entity engaged in offering an exclusive array of quality guaranteed Scrap Charging Bucket. Owing to its features like sturdiness, high efficiency, durability and corrosion resistance, this range is highly appreciated and demanded in the market. These offered product range is manufactured using best grade raw materials acquired from most reliable vendors. The entire product range is quality tested by our quality team. We also manufacture and supply a wide range of Scrap Transfer Car. The offered product range is manufactured with the help of fine quality raw material and modern technology in accordance with the customer's specification. These products are widely used in construction and industrial areas and widely acclaimed and recommended by our customers. These products are offered at market leading price. The Scrap bucket, also called basket is used for the collection and transfer of scrap metal from the scrap bay to the Meltshop. The bottom of the bucket is fitted with 'clamshell' doors for a base to allow the scrap from the bucket to charge the electric arc furnace. The Scrap bucket is constructed in such a way to enable it to be parked on the plant floor without any supporting structure or stand. 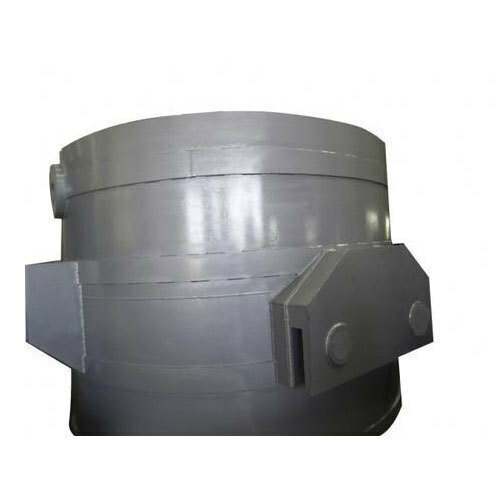 The bucket shell and bottom clam shell is of a welded construction of heavy steel plate made from Steel grade S275 JR according to DIN EN 10025. Looking for “Scrap Management & Optimisation Solutions for Steel Plant”?